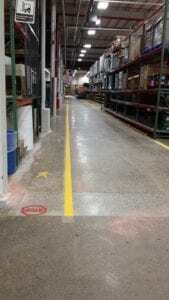 Our team of trained professionals can assist you in developing a layout meeting your factory marking needs. We will analyze your project selecting the best materials/approach meeting your budget, environment and available cure times. 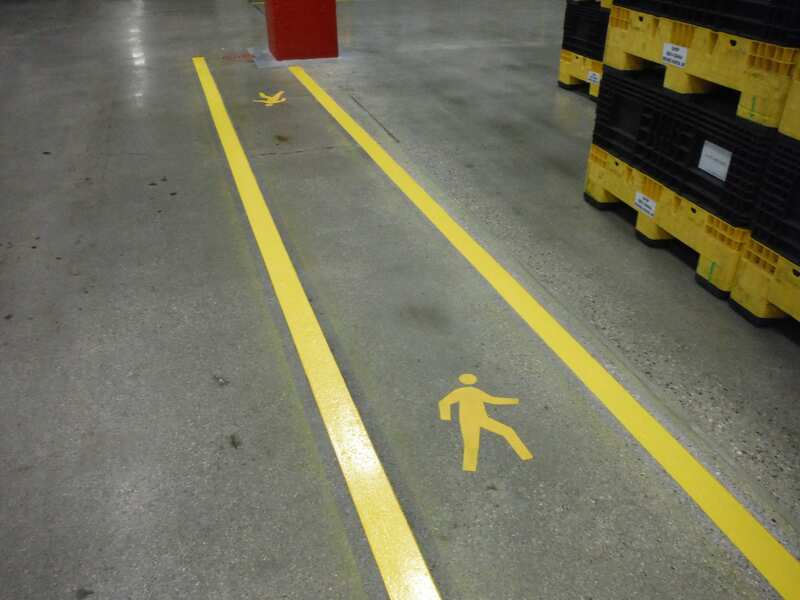 We offer a wide range of products including: Epoxy, urethane’s, enamels and more combined with our preparation techniques will ensure your factory safety markings last. 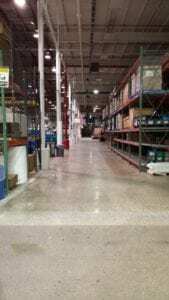 Organization, efficiency and safety is a must in productive factories. 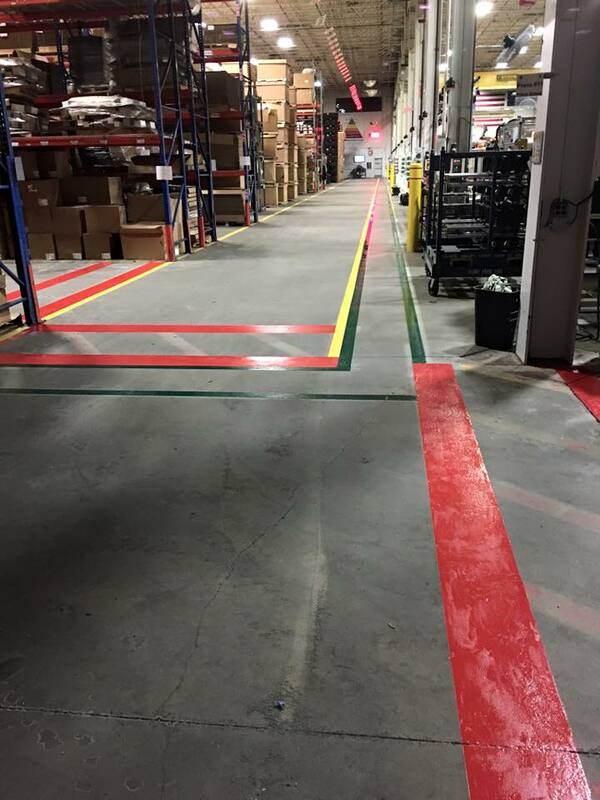 We understand how important it is to create an efficient and safe environment with minimal disruption to daily production. 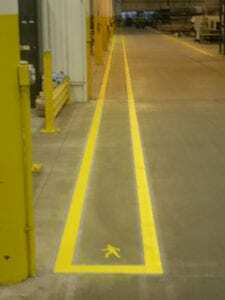 We have the experience and capability in applying various paints, epoxy’s and other coating materials for all your factory marking needs. 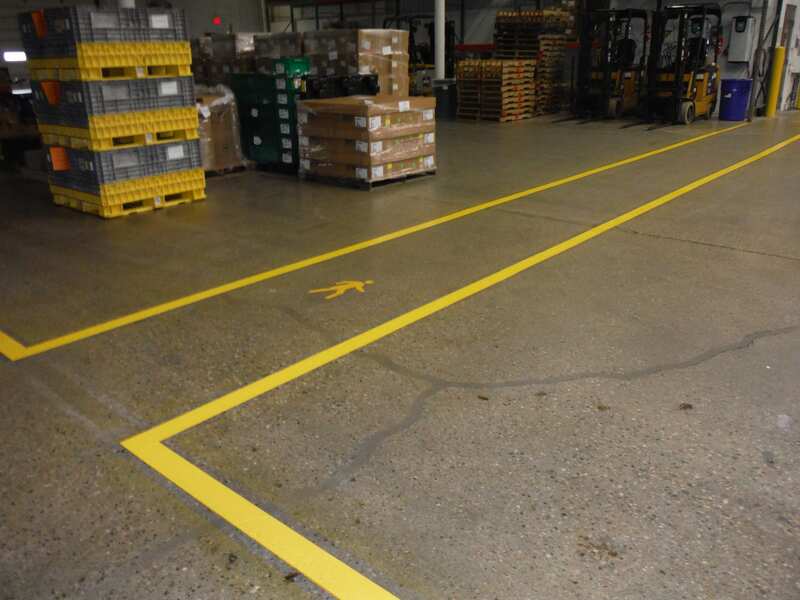 Our crews will work on tight to flexible schedules to ensure minimal disruption and congestion to your business. 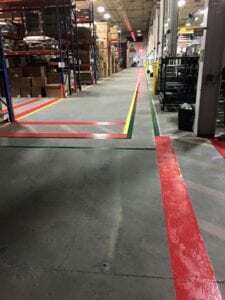 There is no shortage of “striping” companies claiming to be experienced in factory marking installation. 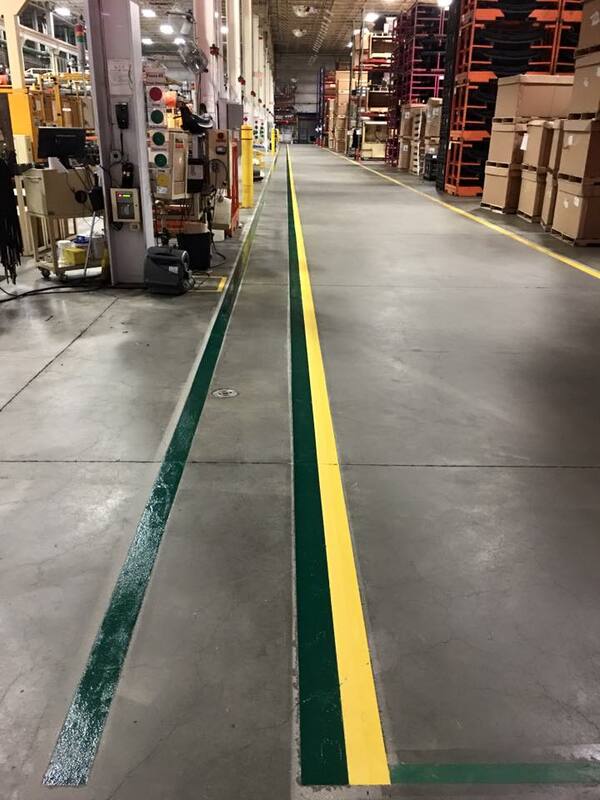 Fact is most striping companies install the same paint and techniques as a parking lot. 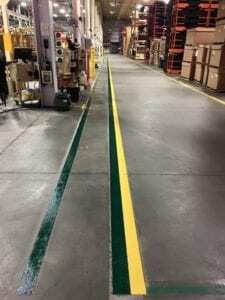 A factory floor is a much different environment than a parking lot and requires specialized materials and prep work to ensure markings will hold up in this extreme environment. Parking lot paints used in factory environments tend to rapidly dull and experience total adhesion failure. Beyond striping APM is experienced and equipped to install factory markings that will last. Let our knowledgeable staff view your project and analyze your factory floor needs. 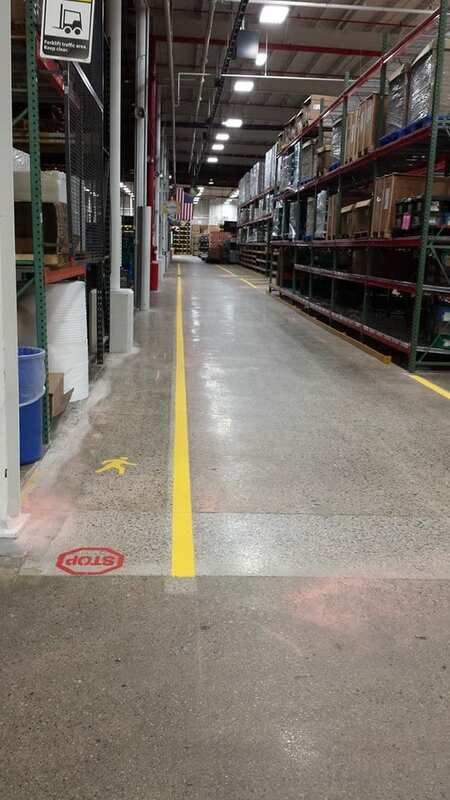 We will select the approach and product to fit your factory marking needs and budget.